What do you do with a car that has finally died? Do you let it sit in front of your house decaying for years, becoming a home for all types of vermin not to mention a legal liability? Can you give it to someone for them to use as a repair project? You could do all of those, but you paid hard earned money for that car! Is there a way to get something for it? Absolutely! Cash for Junk Cars San Marcos is the answer to your problem. 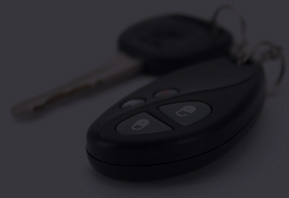 Cars that have been wrecked or damaged in an accident, have fire and or water damage, vehicles that won’t run and any other unwanted vehicle can be towed away. No matter what type of vehicle you have truck, car, van, minivan, sports utility vehicle, we can take them all off your hands. You don’t have to search for auto salvagers or pay someone to haul it away for you, we will pay you with our cash for cars program. Our cash for junk cars program will pick up your vehicle from anywhere in the San Marcos, California area. We can come to your home, your place of employment, the mall parking lot, even meet you on the side of the highway if that’s where your vehicle decided to die. We can assist you anywhere you happen to be. Believe it or not we can find a lot of uses for your junk car. We will take it to our junkyard where our expert technicians evaluate it for future use. Any parts in good condition will be removed, kept and resold. If that happens, the remaining car parts can be recycled or sold for scrap metal. Some vehicles can be repaired, so they will then be resold to someone who can get some more life out of them. With our program everybody wins, you get cash for that non-working or unsightly vehicle removed from whatever location it’s at in the San Marcos area. Remember, we tow it too, you don’t spend a penny. We get a vehicle to dismantle or resale as determined by our mechanic. You call us or fill in our online form to get a quote. You need to provide us with some basic vehicle information. You agree to a time and location for the car removal, we are happy to give you same day or possibly even 24 hour pick up, just ask. We will arrive at the designated location to collect your vehicle. Our friendly removal technician will give you the money for your automobile and give you a receipt for your records. So a couple very important things to remember. Remember to remove your personal items from the vehicle. We provide cash to individuals, commercial companies and non-profits organizations.Don’t try to get rid of that unwanted car yourself! If you have sold anything on Craig’s list you know it is time consuming, and in this day and age it can even be dangerous. Why spend time and effort looking for auto salvagers who might even charge you a towing fee. Finally, don’t get towed to a salvage yard that charges you to dump off your car, even though they will eventually be making money off it.